Ingrid Trobisch, Learning to Walk Alone, Personal Reflections on a Time of Grief. (Kehl, West Germanyl: Editions Trobisch, 1987) 113 pages. “Walter and Ingrid Trobisch have been known throughout the world for their pioneering efforts in Christian family counseling. Together they wrote and edited one another’ss books and present family life seminars to thousands of couples.” Back cover. Ingrid Trobisch records her grief journey and the resetting of her life as a widow. She drew upon the support of her close friends, her five children, the counsel of pastors who knew her, and her strong faith in Christ. She stated, “A nurturing and supportive social network was absolutely essential for me at this stage of my grief.” (45). “It is possible to live without sexual activity, but it is not possible to live without affection. Nor is it possible to live without the affirmation of others.” (94) “I wonder if young people know how their parents long for a word of affirmation or even thanks from their children. (105). The book has value for those who have lost their mate, children who have lost one of their parents, and couples who someday will walk alone. It is well-written and inspiring. The Death and Resurrection of Jesus Christ by H. Lynn Gardner has been translated into Russian and is being printed this month (January, 2018). It is not available in English. The death and resurrection of Jesus Christ stands at the center of the Christian faith. My purpose in preparing this book is to provide basic biblical teaching on these two topics for Russian speaking Christian believers. Sergei Golovin and his team have translated several of my books into the Russian language. My desire is that this basic teaching will strengthen the faith in these Christians who face incredible challenges. Some of the chapters have been published elsewhere in a different form. The published sources include Christian Standard, The Lookout, and Where Is God When We Suffer? Each of the two parts of the book begins with a commentary on a chapter of Luke’s Gospel: Luke 23 on the death of Christ and Luke 24 on the resurrection of Christ. Chapters two through four summarize the sufferings of Christ, what his sufferings teach about God, and a study on the meaning of Christ’s death for the believer. Chapter 6 explains the practical relevance of our Lord’s resurrection. Chapters seven and eight present a case that the resurrection is an established fact of history: chapter seven answers objections by unbelievers and chapter eight states positive historical evidence for Christ’s resurrection. Chapter nine shows the power available to the believer because of the resurrection. In chapter ten, apostle and eyewitness Peter states what the resurrection means for our faith and hope. The last chapter is the author’s personal testimony on how faith in the resurrection of Jesus Christ has enabled him and his family to face some of life’s serious challenges. Christ’s death gives believers forgiveness for their sins and new life in Christ. Our Lord’s resurrection gives us daily assurance and power as we live the new life. Two reviews of the book follow. by Willard Black. Self-published (willard@opendoorlibraries.org). 194 pages. Mr. Black draws out topics from passages in Ecclesiastes and develops them from his experience. Topics discussed include timing, life’s downsides, life’s basics, work, pleasure, helping the oppressed, knowing what can’t be changed in life, diversifying generosity, youth, old age, and centering one’s life on God. 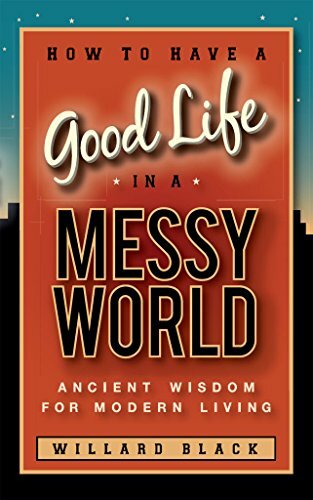 How to Have a Good Life is well-written and interesting. Advice will be found on what foods are acceptable and what should be avoided when traveling in other countries (p.42) and what kind of comments should be avoided in other countries. Mr. Black shares his first-hand observations of the fall of communism in Czechoslovakia (pp. 114-118) and the fall of the Berlin Wall (pp. 127-129). Mr. Black suggests that husbands and wives with children should fly on separate planes (p. 143). The reader will find many more insights in the pages of this engaging book. God’s Word of Truth is available in the Russian language. It has not been published in English. 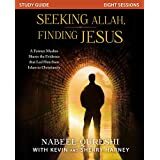 Below is a comment about the book by Sergei Golovin who encouraged me to finish the work and was in charge of getting it published in Russian..
Seeking Allah, Finding Jesus: A Devout Muslim Encounters Christianity by Nabeel Qureshi (Zondervan, 2014), 287 pages. Coming from a committed Muslim family, the author tells of the personal struggles he experienced that resulted from his acceptance of Christianity as the true path to God. His father served in the American navy and Nabeel attended American schools. He felt like a person without a country as his Muslim faith made it difficult for him to fit in and have friends. The first section of the book explains many terms relating to Muslim beliefs and practices. Being passionate about his faith, he defended and promoted Islam. He said Muslim immigrant children have been taught that people in the West are Christian, promiscuous, and enemies of Islam. Islamic parents try to keep them from being “Americanized.” Conflicts arise when these young people see Americans who do not fit this pattern and when they learn to think critically and continue affirming their family’s adherence to Islam. At college, Nabeel developed a friendship with David who believed Christianity was true as strongly as Nabeel believed Islam was true. They had in common that they both believed in the existence of God. In his efforts to convert David, Nabeel stated his reasons why Christianity was not true. According to the Quran, Jesus was a prophet and to consider him God incarnate would condemn a person to hell. It also denies that Jesus claimed to be God and that he died on the cross. Much of what Muslims believe and practice is based on the hadith (Mohammad’s words and actions recorded in traditions). He asked his parents why some hadith were considered more accurate than others. He also had been taught that the Bible had been changed over time, but the text of the Quran had not been changed. In his intense investigation seeking to verify Islam and refute Christianity, he visited with and read the works of both Muslim and Christian scholars. One by one he found that evidence did not support his objections to the Bible, Christ, and Christianity. He also found that evidence showed that Muhammad did engage in offensive battles, that Muslim armies used captive women sexually which behavior the Quran supported, and that the Quran had been changed. Upon learning that he had become a Christian, his parents were devastated and tried to dissuade him. His father, “who stood tallest in my life,” said, “Nabeel, this day, I feel as if my backbone has been ripped out from inside me.” (280) With tears in her eyes and deep sadness in her heart, his mother told her son, “Why have you betrayed me, Billoo?” (281) However, his family live has never been the same as before, his parents still love him, and he remained a part of the family. Nabeel chose to suffer loss that he might gain the indescribable riches of knowing Christ. Being interested in apologetics, I wanted to understand more clearly the arguments Muslims use against Christianity and the reasons and evidences that convinced Nabeel that Christianity was, in fact, true. The book was helpful in both respects. In the book, you will engage a brilliant Muslim who loves truth more than tradition and comfort. This gripping biography of an honest search for truth will inform your mind and touch your heart. 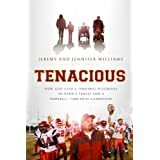 Tenacious; How God Used a Terminal Diagnosis to Turn a Family and a Football Team into Champions by Jeremy and Jennifer Williams with Rob Suggs (Thomas Nelson, 2013) 270 pages. Tenacious tells the true story of a family that faced the challenges of having a son with Spinal Bifida and the father with ALS 9Lou Gehrig’s Disease). Jeremy was small for a football player but he played with a driving passion and earned a scholarship at Memphis State. He filled for an injured player in his first game and started for the remainder of his four-year career. Jeremy and Jennifer Bolles began dating their senior year in high school. They waited for marriage until just before his senior year in college (1993). After graduation, he worked as an assistant football coach for a few years. Then he became head coach at Greenville, Georgia, about sixty miles from Atlanta. He inherited a lackadaisical and undisciplined football team and a school with little school spirit. By motivation, weight training, and discipline he led the team with a 1-9 first-year record to 10-0 season record in his final year (2010). Jeremy was named National High School Football Coach of the year. Jeremy did not push his faith on anybody, but he lived it consistently. His life influenced others for Christ. Christian faith sustained the Williams in their highs and lows while dealing with a handicapped son and Jeremy’s debilitating condition with his ALS. The Extreme Home Makeover blessed the family with a beautiful handicapped-accessible home. The community helped the family in many ways. Tenacious is a football story, a love story, and a story of tenacious faith in the face of incredible adversity. 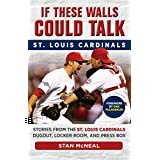 If These Walls Could Talk: St. Louis Cardinals, Stories from the St. Louis Cardinals Dugout, Locker Room, and Press Box, Stan McNeal (Triumph Books, 2015), 217 pages. McNeal records personal stories and information about Cardinals in the 2014, 2013, 2012, and 2011 seasons and some Cardinal legends. In these four seasons, the Cardinals averaged 99 wins per season including winning a World Series, two National League pennants, and reaching four National League Championship Series. The Cardinals transitioned from Hall of Fame manager, Tony La Russia to Mike Matheny and lost the future Hall of Famer Albert Pujols, yet they continued their winning ways. The closing chapter features stories about Cardinal greats, including Bob Gibson, Red Schoendienst, and Stan Musial. 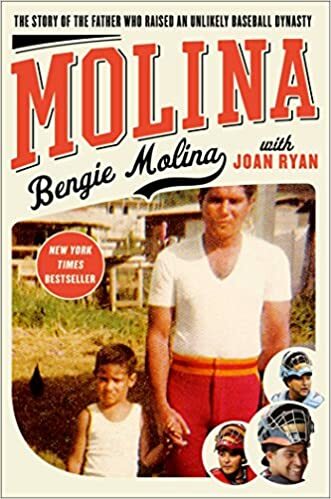 Cardinal fans who followed the Cardinals during this “Golden Age” in their history will enjoy this book. It is a great book to read when you have only a few minutes since the stories are only two or three pages. The book helps the reader see the players as persons, not just baseball celebrities. The readable style of writing makes If These Walls Could Talk and enjoyable book to read. Rise and Walk: The Trial & Triumph of Dennis Byrd by Dennis Byrd with Michael D’Orso (HarperCollins/Zondervan, 1993), 258 pages. On November 29, 1992, Byrd, a 6’5”, 270-pound defensive lineman for the New York Jets, in an attempt to sack the Kansas City quarterback collided with his 280-pound teammate. The collision shattered Byrd’s neck and paralyzed him from the neck down. 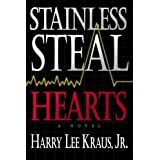 The book describes in graphic detail the physical and emotional devastation he experienced and the excruciating route to his goal of walking again. After his seven-hour surgery, he was told that he may never walk again. In a few months, he defied all predictions and reasonable hopes and began walking again. Through this experience, he kept his faith in God, as he did throughout his life. He credits the role played by his wife, family, friends, doctors, therapists, the general public, his Jets teammates, the help and encouragement of Leon Hess the Jets owner. He gives credit to God’s love and miracles and human faith and love. Byrd recounts his upbringing in poverty in Oklahoma and his love of football, his experience of playing for Tulsa University and the New York Jets. His determination and discipline motivated and inspired me. For months, I experienced chronic pain and inability to walk due to issues with my lumbar spine and resulting sciatica pain. I experienced nothing so severe as Byrd, but after surgery, rehab and home health I am getting closer to my goal of walking.